Co-founder Mashauri Limited; Adjunct Professor IE Business School; Director: Genesis Management Consulting. What do reducing infant mortality rates, supporting bursary providers in administering their grants and providing payment mechanisms for small businesses in East Africa have in common? 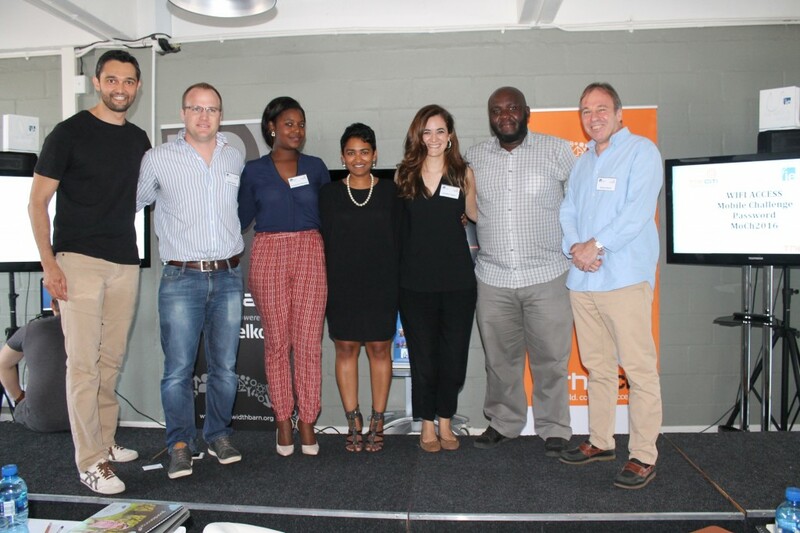 In this case, they are all winners of the Mobile Challenge Africa competition held in Cape Town, South Africa last Friday. I was privileged to be a judge, together with Roger Norton from Playlogix and Crecencia Chauma from CiTi in deciding which of the 10 finalists should be sent to Barcelona to pitch at the Mobile World Congress – the biggest mobile event in the world! The event was held at the uber-cool The Bandwidth Barn in Cape Town. IE, together with Imtiaz, sponsored the competition. Cataline Tejero, Assistant Director, Middle East and Africa opened the event, introducing Abu Cassim ( IE MBA 2012) the master of ceremonies and clarifying IEs strong positioning in supporting entrepreneurship both inside the MBA courses and outside in events such as this competition and the IE Venture Day series. The standard of the entries was high and the passion and energy of the founders was palpable. The sub-saharan African economy is not the easiest place to be doing business at the moment – collapsing commodity prices, deteriorating exchange rates, unstable electricity supply and high unemployment are just some of the challenges. But observing the enthusiasm and visions of the entrepreneurs you would be forgiven for believing they were operating in boom times – and that is true entrepreneurial spirit. After all the presentations, the judges retired to make the tough choice of selecting the winners. Six entrants seemed to be in a slightly higher league than the rest, but deciding on the top three was no easy task. All had great ideas, good teams and had achieved some traction. The two factors that ultimately cost the runners up their position were overly complex business models and / or the required need to change entrenched behaviour of existing players. The eventual winners were: Gifted Mom – a system to help pregnant mothers and so to reduce maternal and infant mortality; Lipaplus – a mobile payments system for Africa and Mali Mobile – a last mile mobile payments system for bursary providers and students. The rest of the IE trip made by myself and Catalina incorporating Accra, Johannesburg and Nairobi, put us in contact with many other businessmen and women where we were delighted to find the entrepreneurial spirit alive and thriving. As an example, when asking the young African Uber driver taking us to Johannesburg International airport what led him to become an Uber driver, he replied that it helped to supplement income from his other two enterprises: organising transport for groups of international visitors; and helping small business owners create a brand and a professional image for their business. Watch out Europe – Africa is awakening!